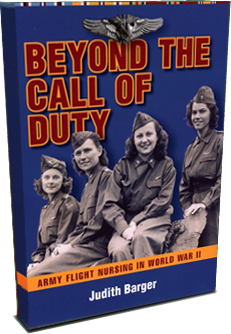 Until recently I had identified by name only two of the four World War II flight nurses pictured on the cover of Beyond the Call of Duty: Army Flight Nursing in World War II. All four were assigned to the 806 Medical Air Evacuation Squadron, which was sent to the United Kingdom in July 1943 in preparation for D Day, after which they flew across the English Channel to evacuate wounded soldiers from France. 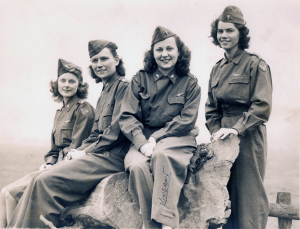 Grace Wichtendahl née Dunnam, second from left in the photo, was chief nurse of the squadron. Wilma J. 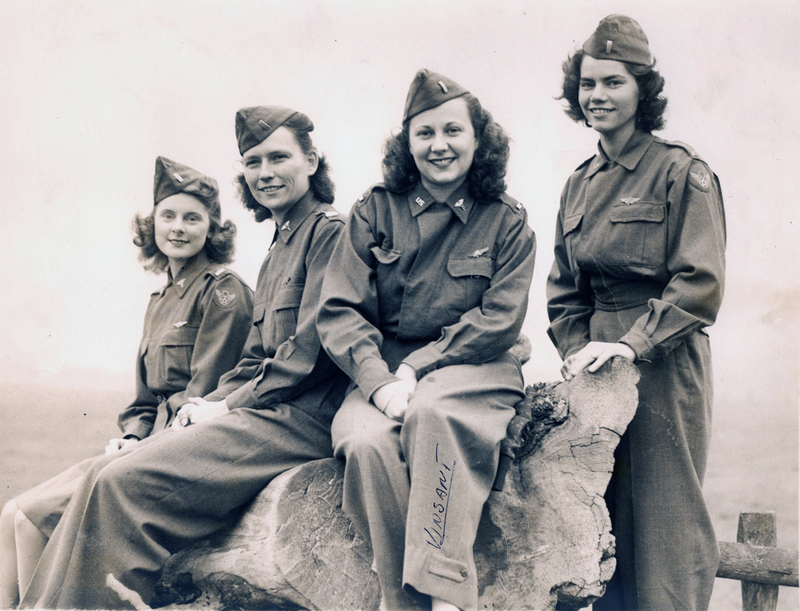 “Dolly” Shea, née Vinsant, third from left, was killed in action over Germany in April 1945 in a weather-related accident when the C-47 in which she was traveling to pick up patients for air evacuation crashed into a mountain. The flight nurse on the far left is Anna G. Ranahan, who died shortly after World War II; on the far right is Winna Jean Tierney neé Foley, who goes by “Jean” and is very much alive at age 97. I chatted with Jean by telephone recently; she is a delightful woman whose memory for her flight nurse years has not faded over time. She had finished reading Beyond the Call of Duty for the second time the previous night, and was excited to “meet” the book’s author and relay her surprise at seeing herself on the front cover. She thinks the photo was taken either at Fort Bragg or at Pope Field during maneuvers. Since the flight nurses are wearing wings on their uniforms, the photo would have been taken after graduation from the flight nurse course before shipment overseas. 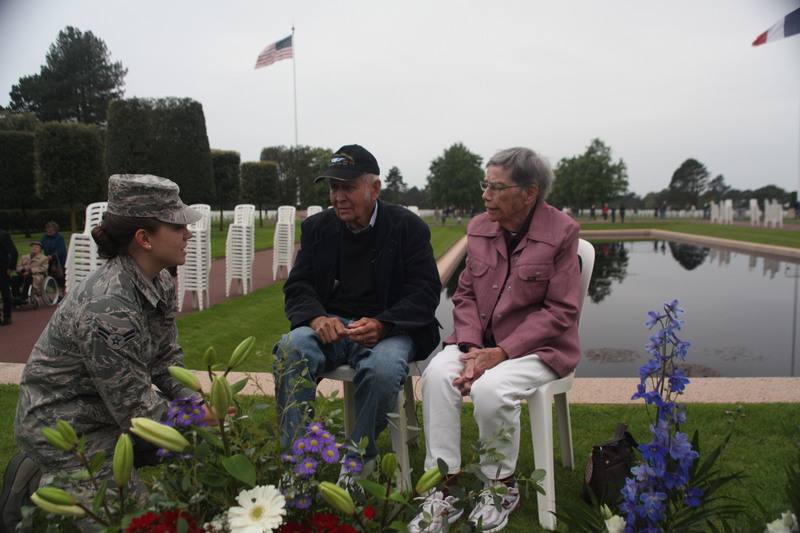 From 1984 through 2016, Jean and her husband Ed, who flew C-47s during the war, returned to Normandy every other year for Memorial Day and D Day observances.